In autumn 2006 we celebrated our 25. Jubilee! In the meantime nearly 10 years passed by - time flies – but we still have fun and take much pleasure in our work. 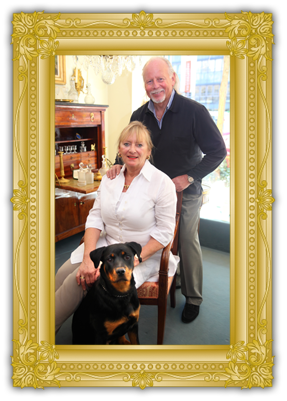 We are a little bit proud on the fact that our business developed to be a top address in Hanover for fine antiques. Long time before the internet trade became so popular, we, as merchants in a trade fair town, attended to customers from America, China and the Emirates. This success may also results from our business concept, which we try to express in our logo "Antik & Art". Furniture, lighting, mirrors, clocks, paintings – just as well as decoration articles like Chinese porcelains, candlesticks, sconces, vases, centrepieces and naturally crystal- and glassware. Around dining you can find at our shop cutlery rarities and curiosities like goose leg and lamb chop servers. “Art” stands for objects from the 1st half of 19th century like Art Nouveau, Art Déco and Bauhaus Style. We present items made by well-known glassworks e.g. Lötz, Daum and Saint Louis or wine-glasses by Peter Behrens as well as “modern” looking drinking glasses, vases and table objects designed by Christofle, Pierre d’Avesn, Val Saint Lambert, Legras, Verlyss, Sabeno or Legrand. 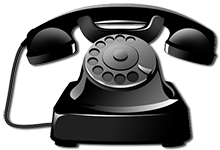 As professional dealers in fine antiques we attach of course great importance to a personal advisory service and we are sorry, that it is not possible at the internet. So we were busy to describe the items in detail to the best of our knowledge. We hope you will enjoy the presented items and may place your confidence in us, even though you don’t meet us in person.